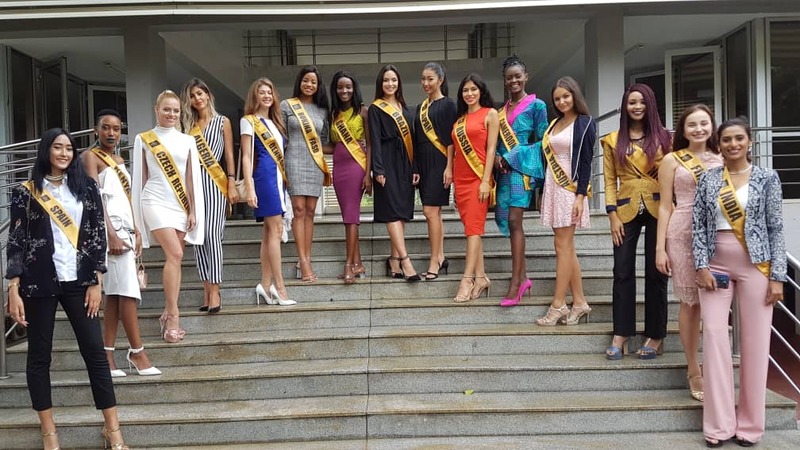 Home Pageantry FORIEGN CONTESTANTS OF 2018 MISS POLO INTERNATIONAL VISITS BRAZIL EMBASSY. 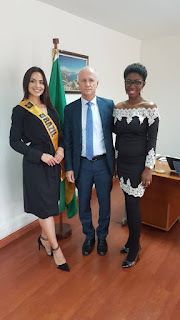 FORIEGN CONTESTANTS OF 2018 MISS POLO INTERNATIONAL VISITS BRAZIL EMBASSY. The prestigious Miss Polo International Pageant contestants, who arrived Nigeria from across the globe yesterday have paid the Brazilian Embassy in Abuja a courtesy visit, with exclusive photos. The courtesy visit to the Brazilian Embassy is in view of the sustainable partnership that already exists between the pageant and the south America nation, thereby notifying the Embassy of their presence, as well as the forthcoming grand event which is slated to hold on Tuesday 28th of August, at the Transcorp Hilton Hotel in Abuja. This is the first engagement which the iconic delegates have made, since they arrived Abuja, the capital city of Nigeria. The courtesy visit, according to the pageant director, is an exposure and a commencement of the myriad of activities which contestants will be engaged in. The director of Miss Polo International, Mrs. Ibife Alufohai, presented the Brazilian contestant to Amb. Ricardo Guerra, the Brazilian ambassador to Nigeria, who appreciated the beauty queen and intelligence she displayed. Our reporters noticed a cloudy display of charismatic intelligence, intellectual diplomacy and vibrant gestures amongst contestants during the courtesy visit to Brazil Embassy. The Brazilian contestant, Renata Leite Puppin expressed a heartfelt appreciation to the Brazilian Ambassador and organisers of 2018 Miss Polo International.